ew smartphone trends to see these days is not just the reduction of bezels, but manufacturers have either moved the fingerprint readers to the back of the phone or foregone it entirely, such as the iPhone X. 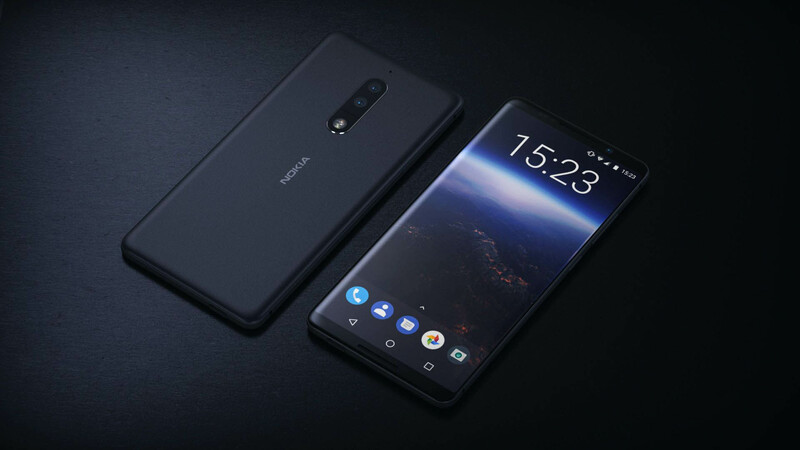 Although Vivo has already showcased a phone with an in-glass fingerprint scanner, Nokia 9 could be the first global flagship with such a scanner. According to NokiaPowerUser, a reliable source in China has stated that Nokia 9 will indeed come with an in-screen fingerprint reader. The same source also claims that HMD Global will put a notch on the front of the flagship, possibly for a front camera and make the top bezels as thin as possible. By doing this, the company aims to maximize the display area. NokiaPowerUser has made similar claims before, but without citing any source. Most manufacturers are still trying to perfect this technology and include it in their devices these days. The launch date of Nokia 9 is still far away but Samsung’s Galaxy Note 9, which is slated for an August announcement, but looking at the rumors coming in, the flagship phablet may not include this level of biometrics.